My first stop in Andalucia. As I promised in the intro to this series my reviews will look differently from now on. I will start with a brief description of the good and bad then in the second part I will share with you some stories or memories from the trip. The hotel is situated on Calle Redes, 28 and while this may not tell you much I can assure you that the hotel is very conveniently located. The cathedral of Seville is only 1.5 kilometers away, El DIvino Salvador is 1.2 kilometers away, Real Alcazar is 1.6 kilometers away while Plaza de Espana is 2.9 kilometers away. My advice, if you come to Seville by train, is to spend 10-12 EUR on a taxi the first time you get there. While you can reach the hotel by walking (2.7 kilometers) or by taking a bus and walking I opted for the taxi after a 5 hour flight and a 2 hour train ride from Malaga. Plus it was already 22:00 so I really just wanted to relax a bit after a long day. 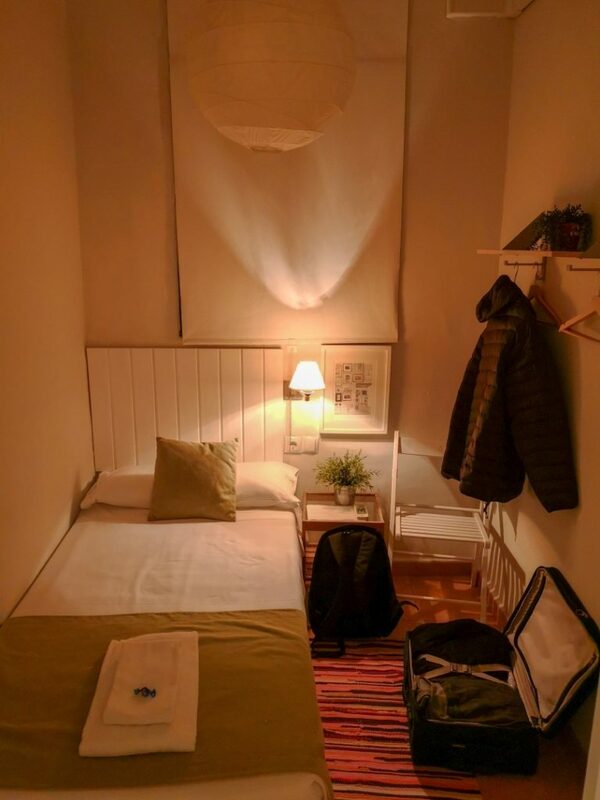 The first thing I want to mention is the fact that Nochela Sevilla is a hostel so my rating, my comments and my final note will be in regard to other hostels I visited and not to hostals, hotels or air bnb’s. Also I won’t cover the price aspect. Due to the fact that I was in Seville during the Semana Santa I can guess that the prices were a bit up. I was extremely satisfied with the paid price but others could disagree so I won’t cover this aspect up. The only thing that I can tell you is the fact that when I reached the hotel I saw a sign on the front door signaling that the hotel is 100% booked until the 9th of April. It was the 25th of March. Regarding the staff I can honestly tell you it was a pleasure talking to them. From all my experiences in Spain I can honestly say that their English was the best by far and they provided me with many information on room, Semana Santa celebrations, the parades, recommendations to eat, printing my tickets etc. So yes, I am very happy with the girls that I met during my stay at the hotel. Even if I arrived after the closing of the reception they emailed me before and I managed to get my room keys safely. The room was small but it was ok. I can’t really comment on it due to the fact that it only had my bed, a chair and a place to hang my clothes on. However it was clean and my bed was made daily so that’s a big plus. The bed was small and I think the hotels in Spain were the first hotels in all my trips where in many places I got single beds when renting single rooms. I think 180/190 length and 110 wide this bed was strictly designed for single use. I do have a small complaint about the bathroom meaning that whenever I showered or used the toilet there was a small leak that left water in the bathroom. I couldn’t identify it from where it came but it was there present whenever the bathroom was used. Also for the accommodations used on this trip I will rate the following aspect: room temperature. The room at Nochela was not heated but that wasn’t really a problem since I did have a blanket during the night. 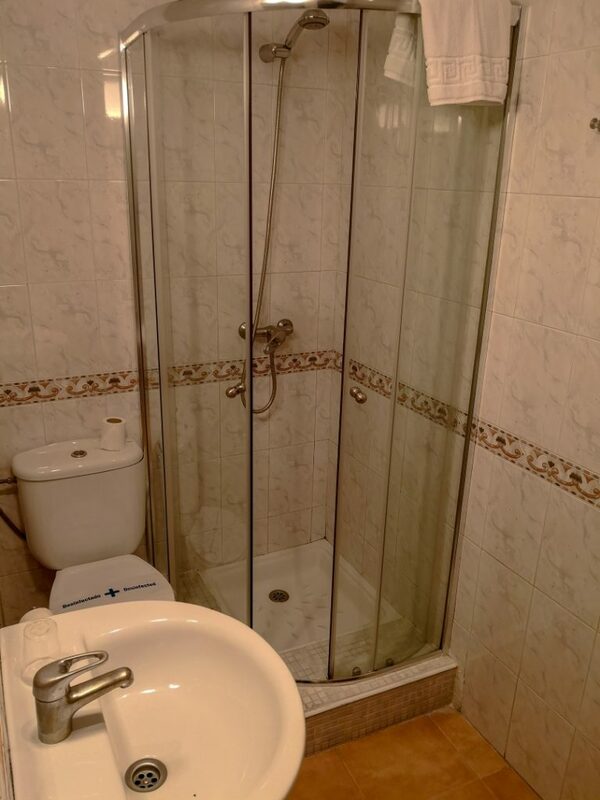 However the bathroom felt really cold in the mornings when I needed to shower before going out to visit. All in all I was very OK with my room. While it did have some minor problems the location was good, the staff was great and the price appealed to me. For these reasons I think that a 3 ½ stars out of 5 is the mark that this place deserves. Seville is beautiful. After three visits in Barcelona I still considered this city to be my favorite city but a single trip to Seville changed that. I don’t know if it was all the hype and the beauty of the Semana Santa, the small colored streets and houses, the cheap bear, the great food but Seville is something special. I walked its streets at day and I walked its streets at night. I walked on streets where due to the crowd I felt I was in New York and I walked on empty streets. I ate standing, alongside locals, I drank their beer and wine, I cheered with them and I watched in awe the processions for the Catholic Easter. Seville is a city to be explored on foot. I saw no reason in taking the buses or taxis. I wanted to get lost on those little streets, to admire the colored houses, to sit whenever I wanted on a bench or some steps and enjoy an ice-cream or a cold bottle of Cola. I honestly think that each person that travels to Seville after seeing the main sights must get lost on the little streets of the Juderia. But go there early, go there in the morning. Go when only a few people are out and the small streets are yours to admire and take pictures. In my opinion the best way to start your holiday in Andalucia is from here, not from Malaga. Experience Seville first, soak in its beauty, spend time tasting great tapas and take the train to Cadiz, Jerez or even Cordoba. You will not be disappointed. Even as I write this lines I’m looking over pictures from this gorgeous city. Will I return to this place someday? Who knows? Maybe someday with someone special and during the Semana Santa for sure.